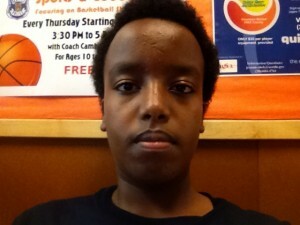 Hello my name is Yonas Kidanemariam I’m a nation youth intern in Seattle WA. I am currently a sophomore at Cleveland high school. During my free time I like to do something productive like playing sports or hanging out with friends.i play almost every sport but my favorites are soccer and basketball. I am the oldest out of my four brothers. The word trust in my own words means to trust somebody that you believe and trust to do something, you can trust to leave your things around with them.